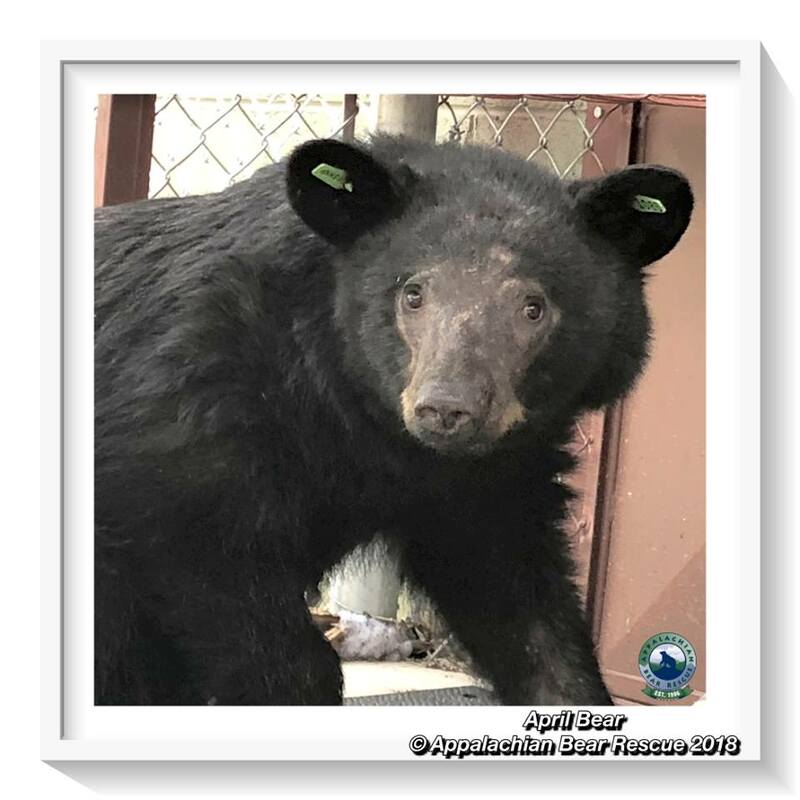 On May 7, 2018, we concluded our mission with April Bear with her successful release back to the wild. 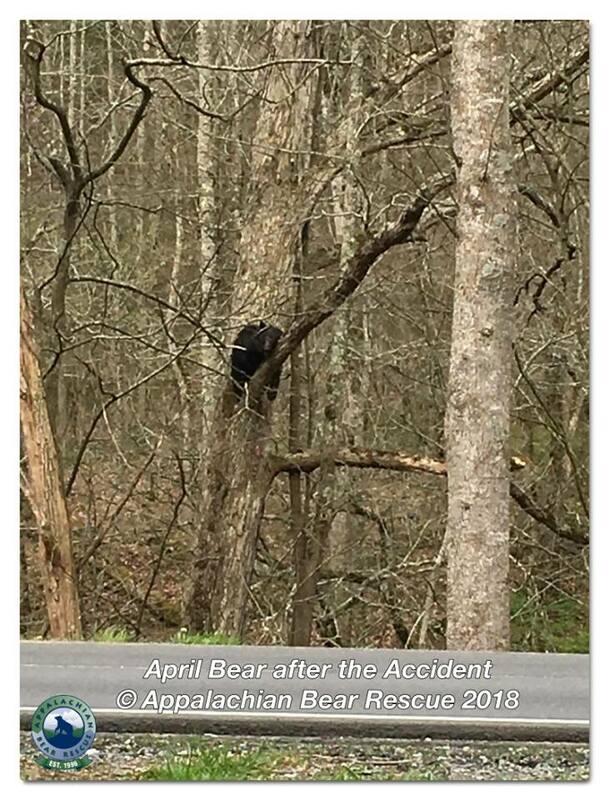 April arrived at ABR on April 2, 2018, following a car accident that left her with five broken ribs, a chipped left humerus bone and a collapsed lung. 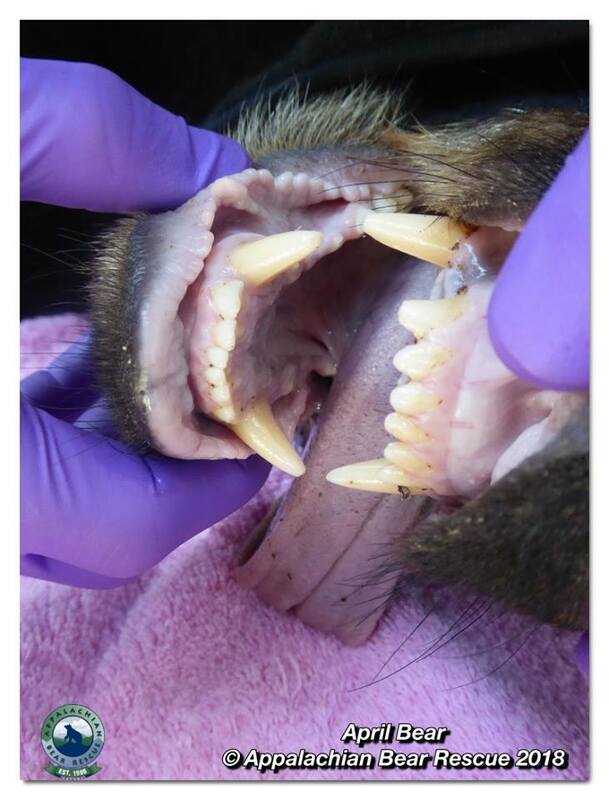 She also suffered from a minor mite infestation on her face that cause some of her fur to fall out. 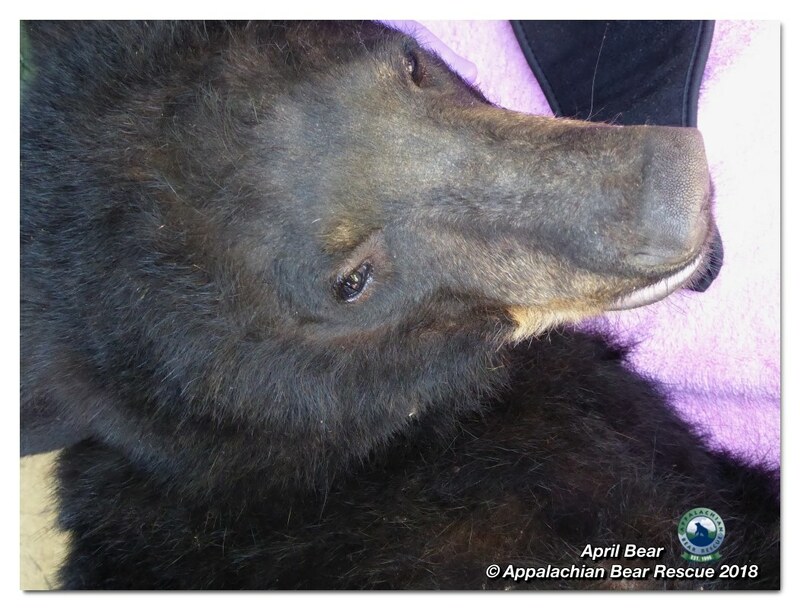 April was about 14 months old at the time of her accident and weighed 66 pounds. 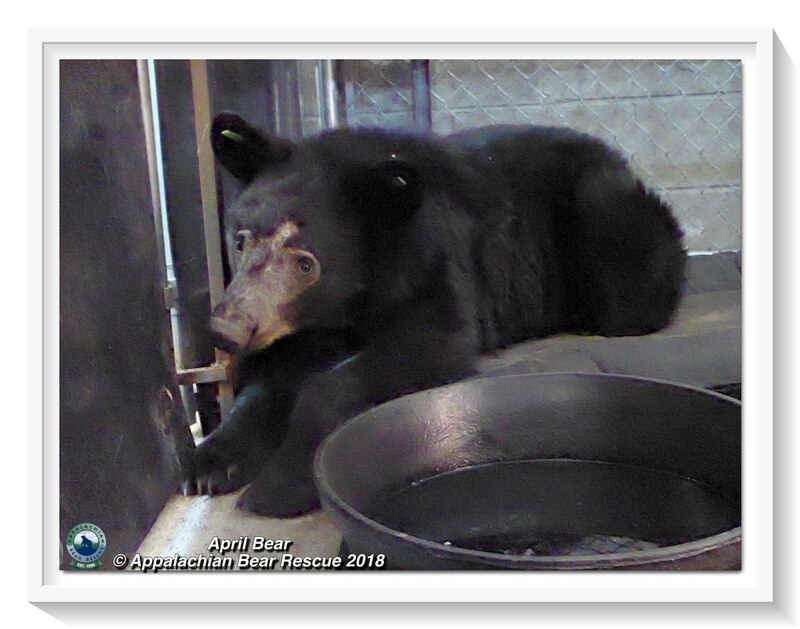 She was doing well on her own and had it not been for the car, she’d never have come to ABR. 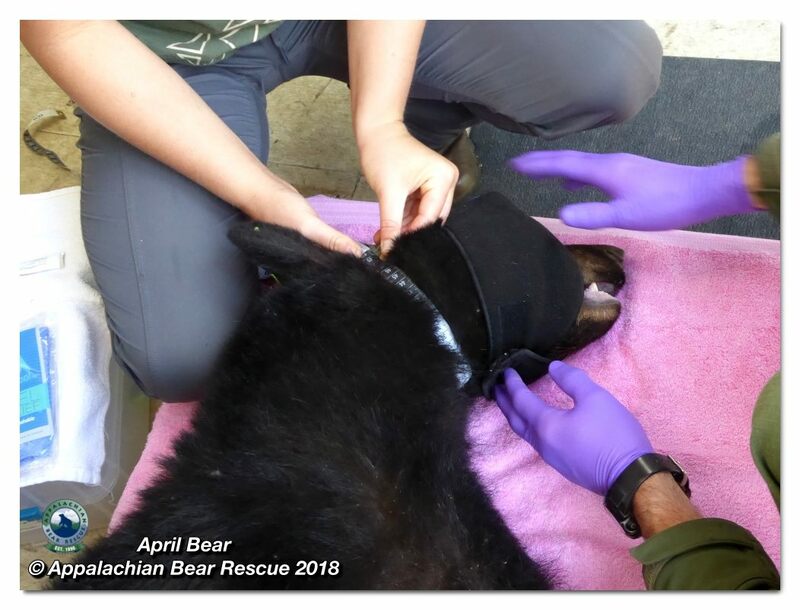 Confining her to the Red Roof Recovery Center, with its custom-made adjustable ceiling, meant we could restrict her movement, but black bears are climbers and forbidding her to do what comes naturally was a hardship we didn’t know she could endure or for how long. 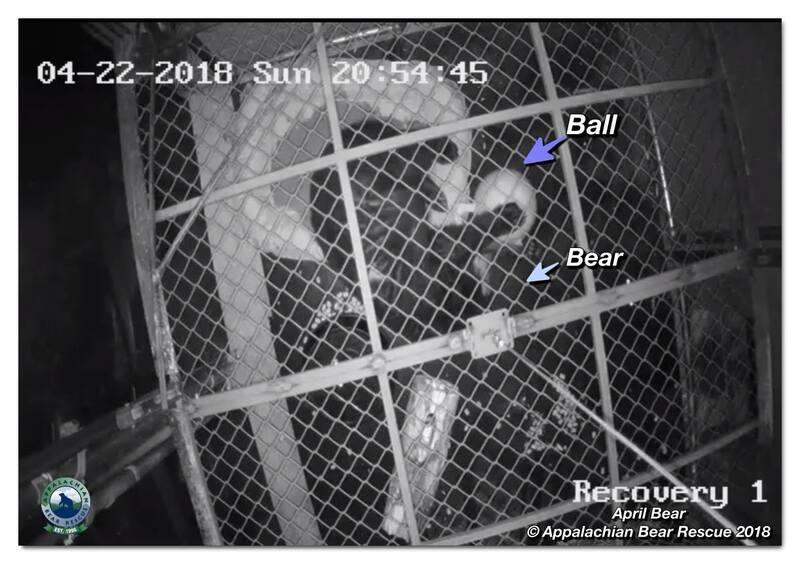 Curators Coy, Janet, Tom and David did everything they could to provide April with amusements and diversions during her stay; maintaining her mental health was as important as her physical well-being. 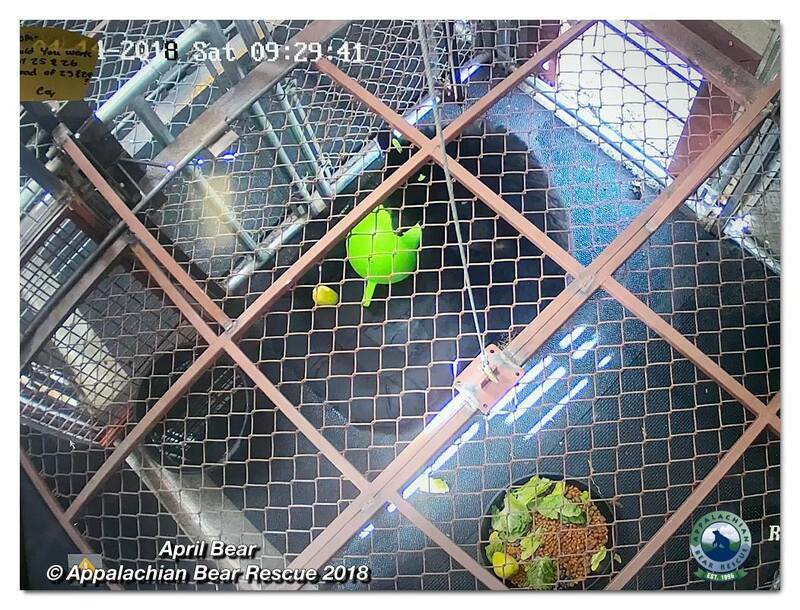 April was the first bear to be admitted to ABR following the installation of our security cameras. 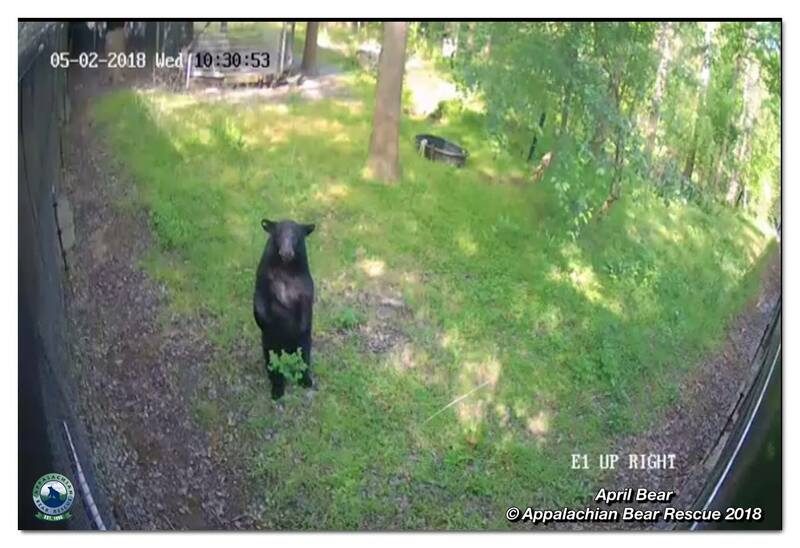 She was the most observed bear in our history and taught us what our residents do when humans aren’t in proximity. 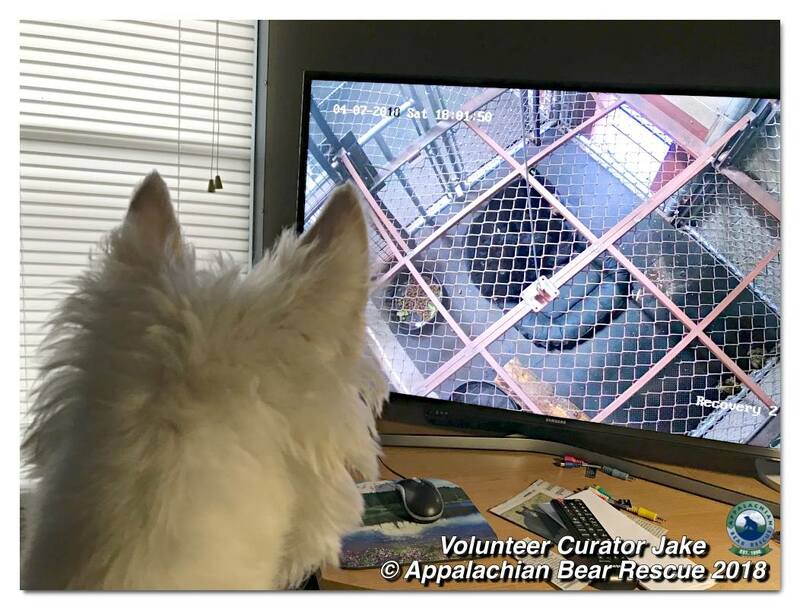 Curious, intelligent, mischievous and playful, April kept the curators on their toes. 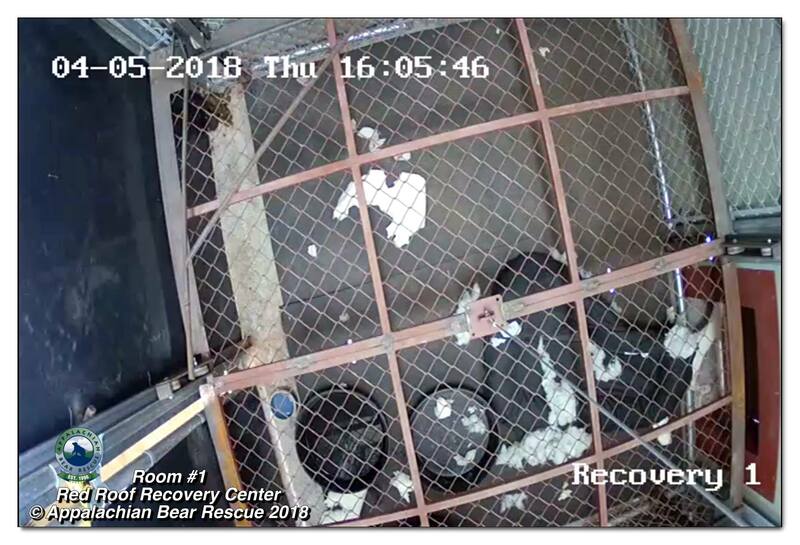 She loved sleeping on her beds and loved to destroy them. 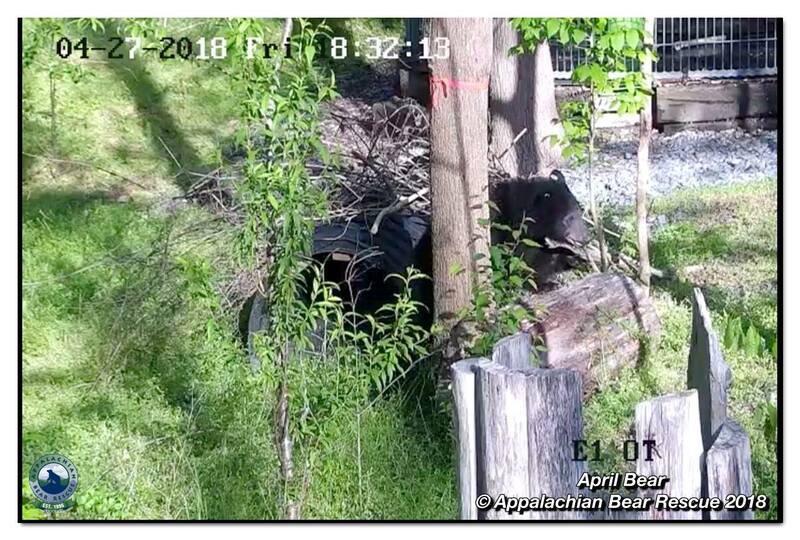 Bears use their sharp claws to rake leaves and twigs into a bed, so it wasn’t her fault our man-made mattresses failed to respond as she thought they should. 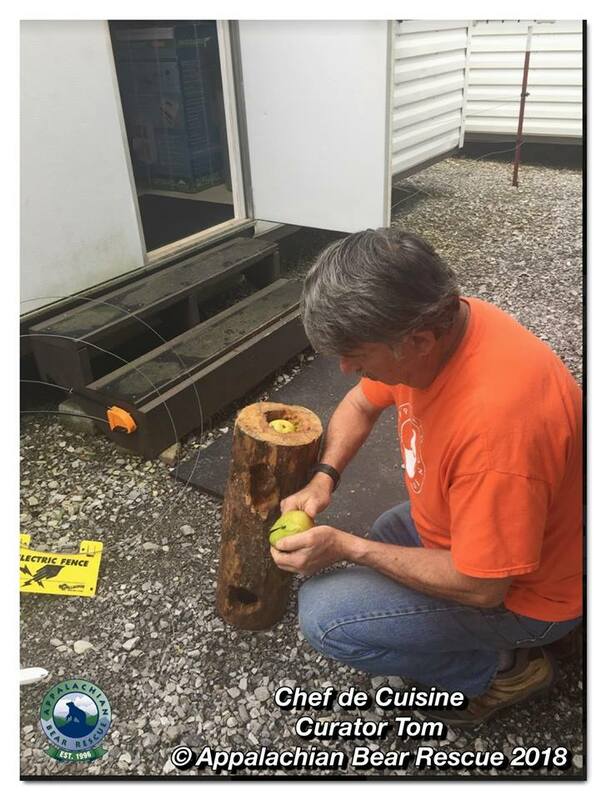 The curators introduced a green ball into her rooms and supplied her with Honey Logs which challenged and amused her. 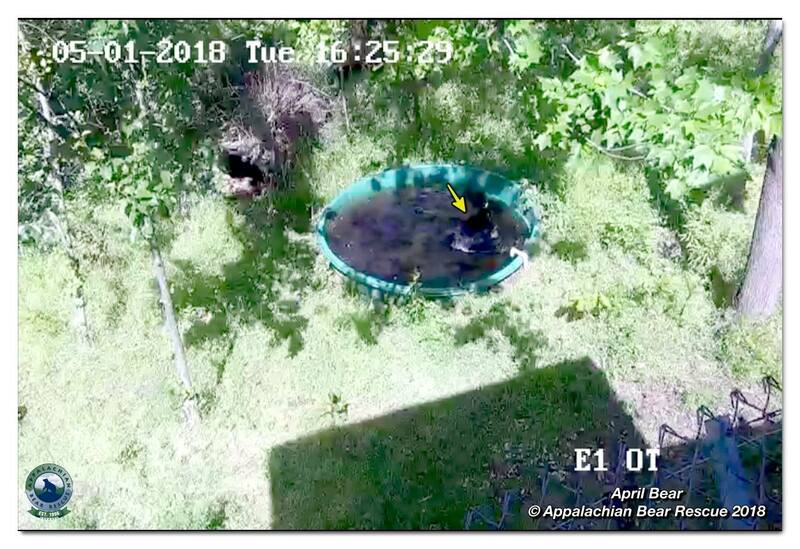 But there came a day when the confines of the Red Roof Recovery became too much and April let us know by finding a way to bend the fencing around her Outdoor pen. 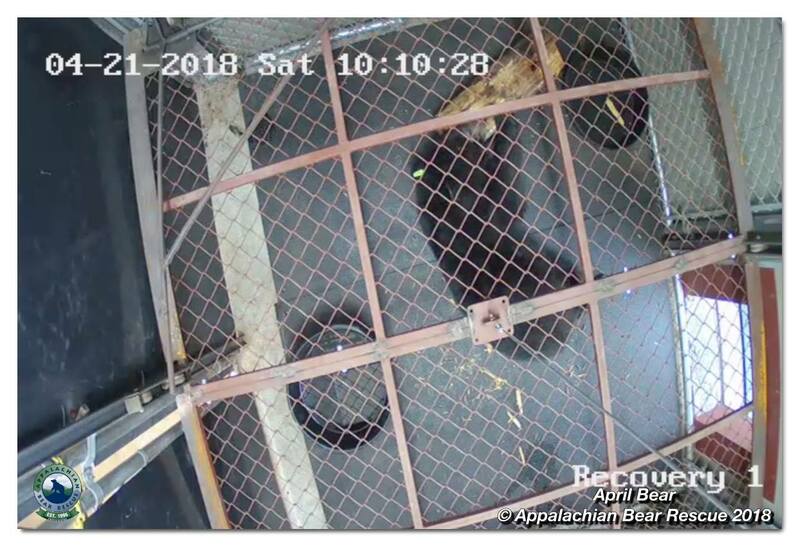 The curator was surprised to find her sitting on top of the ceiling and not beneath it. 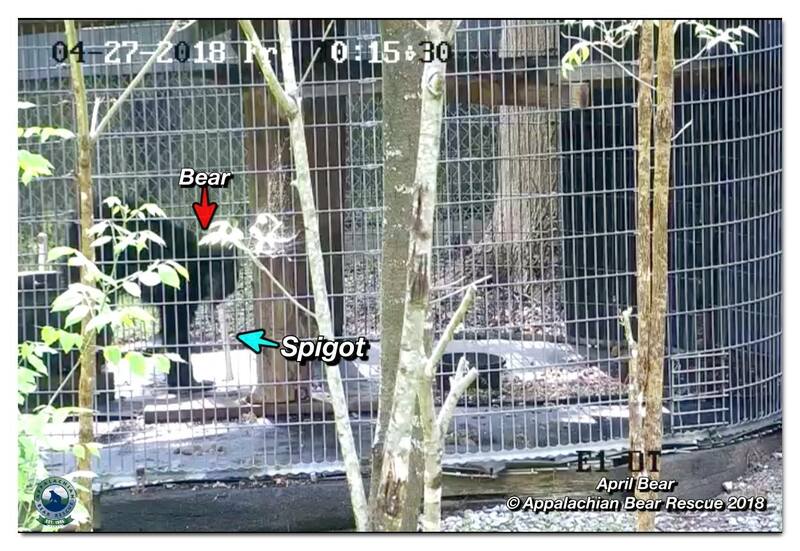 She told us it was time to move her to a full-sized outdoor Acclimation Pen and from there into a Wild Enclosure. 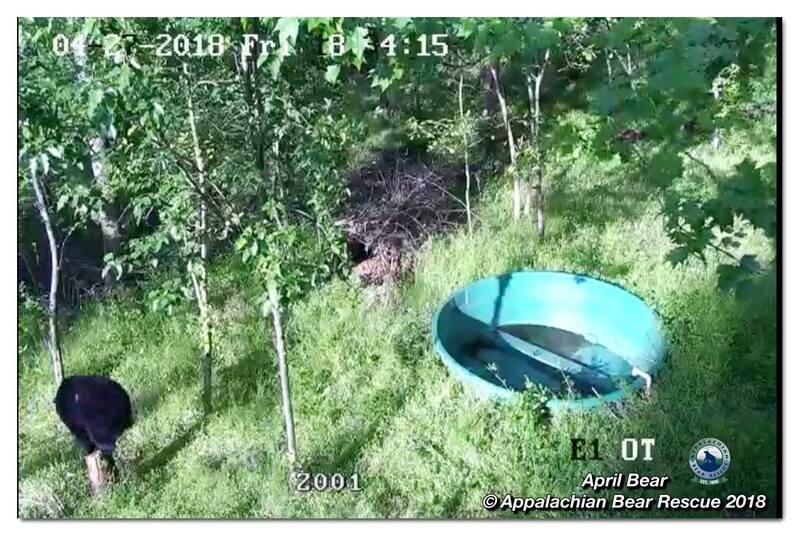 April thrived in the outdoors; she explored every inch of it and enjoyed dips in the Cubby Pool and The Cub Tub. 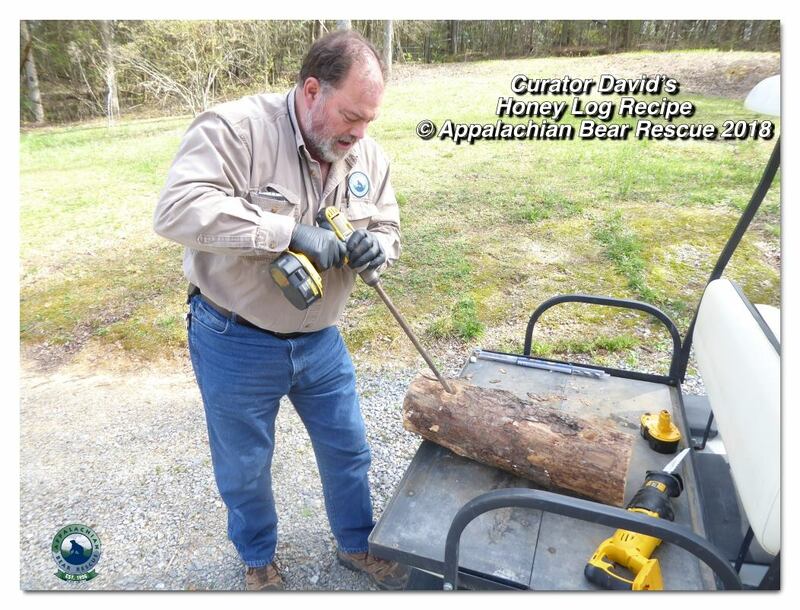 She’d while away the hours, long into the night, playing with saplings and logs. 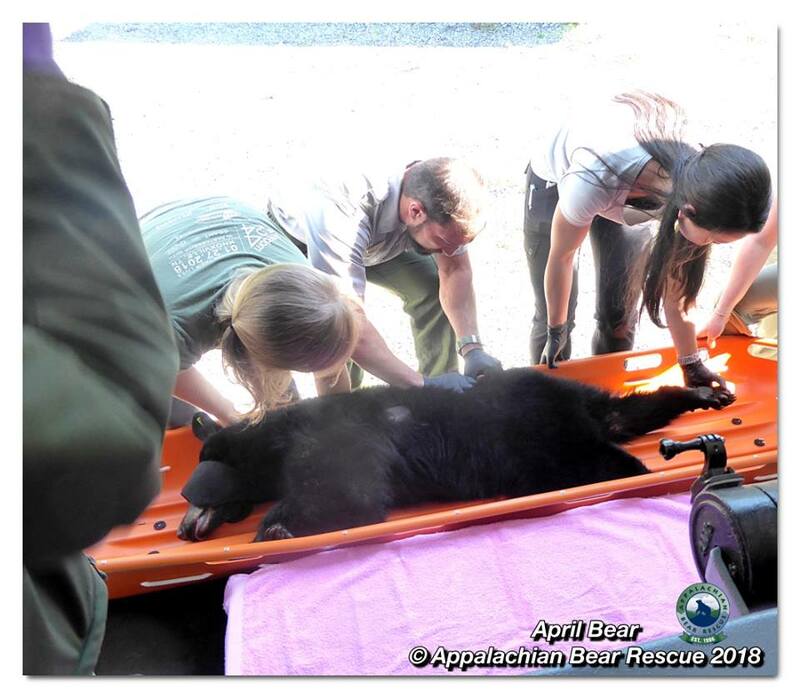 She was a healthy, beautiful bear and we knew our work was done. 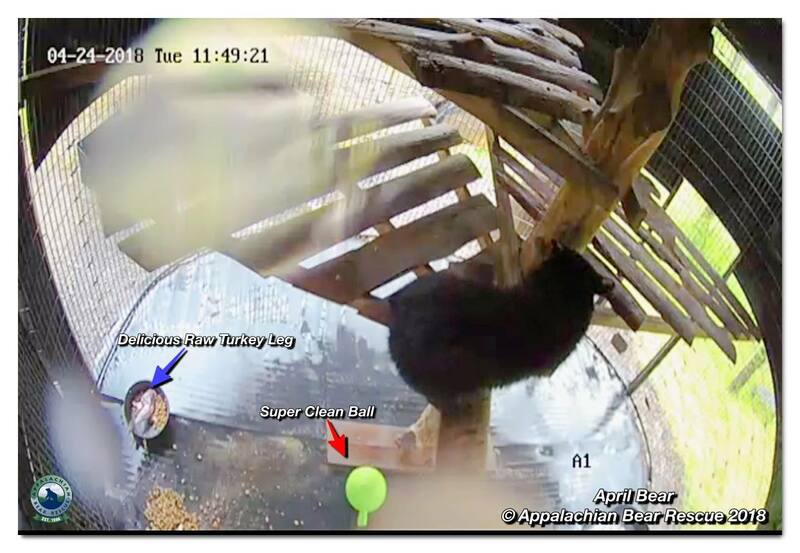 Release day can be stressful for both bears and humans, but April’s release was quick and problem-free. 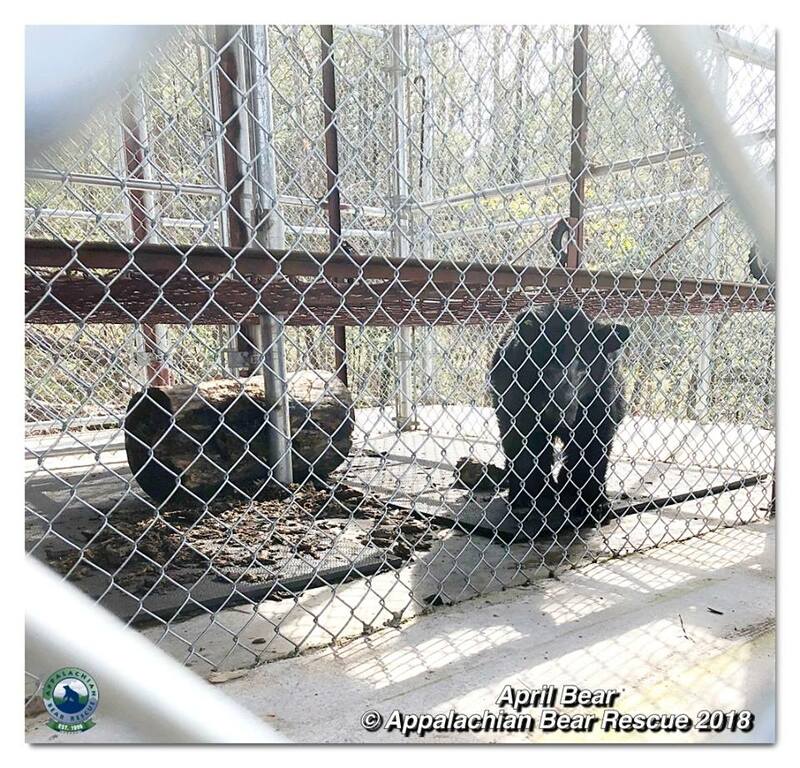 She cooperated with our “passive capture” protocol, entering her old Acclimation Pen to eat and allowing the curator to lower the gate, confining her within. 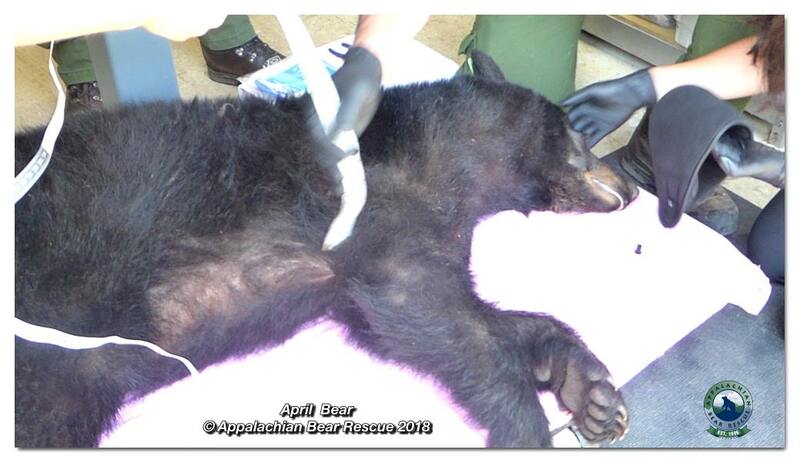 Aa quick jab from a dart pole immobilized her long enough for one last exam. 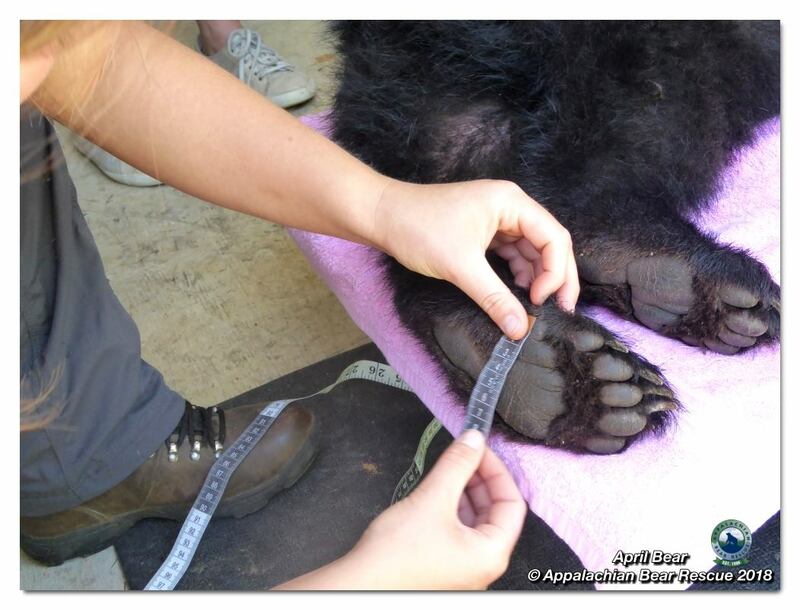 She weighed 102 pounds, her face was healing well and she looked healthy and strong. 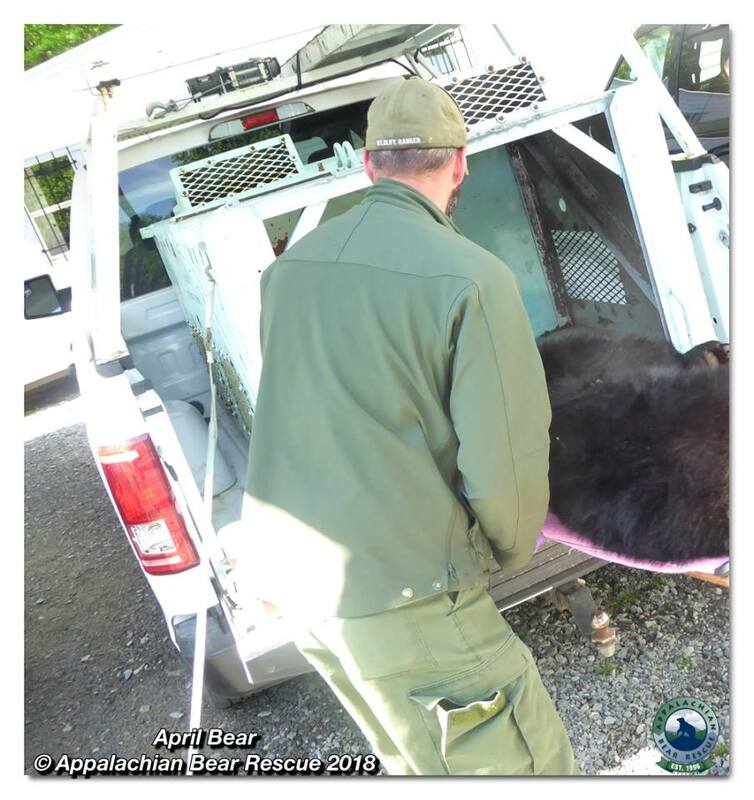 April Bear was released into The Great Smoky Mountains National Park. 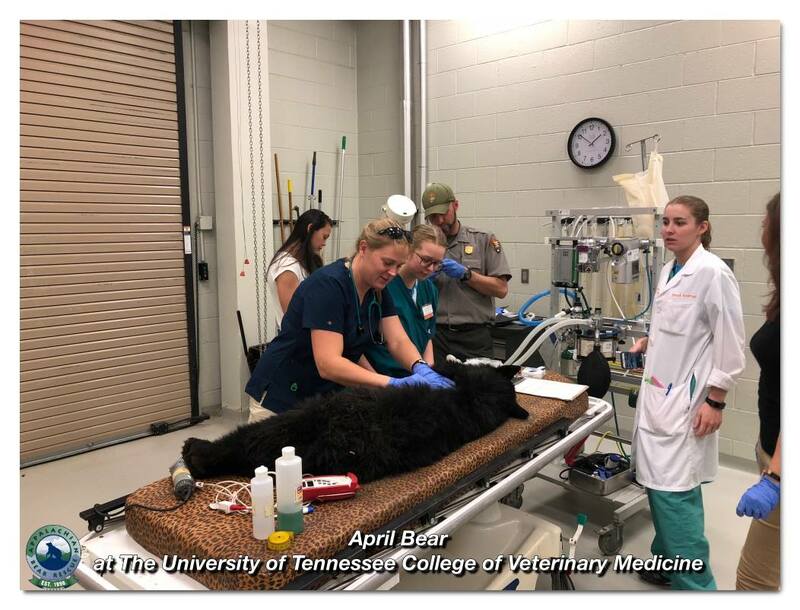 We thank The Great Smoky Mountains National Park Rangers and the doctors at The University of Tennessee College of Veterinary Medicine for helping April. 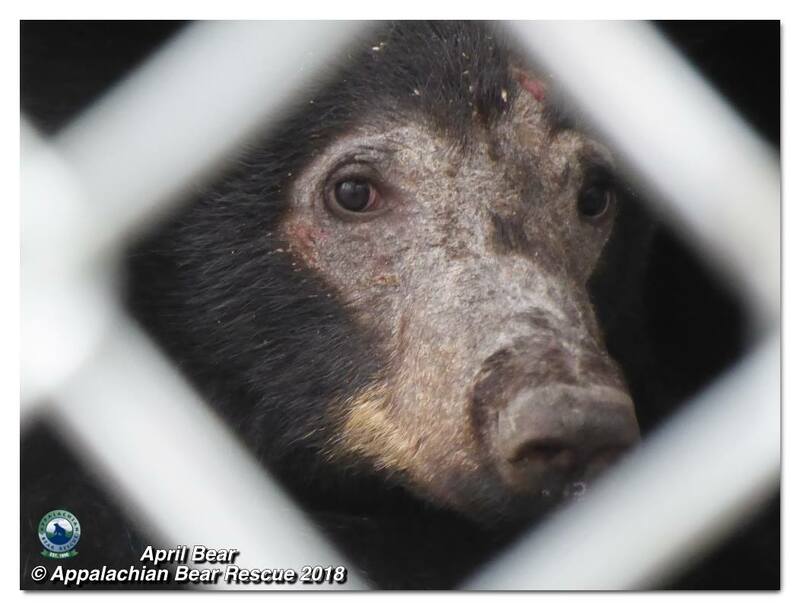 Our heartfelt gratitude to you, our partners in our mission, for helping April Bear get her second chance. 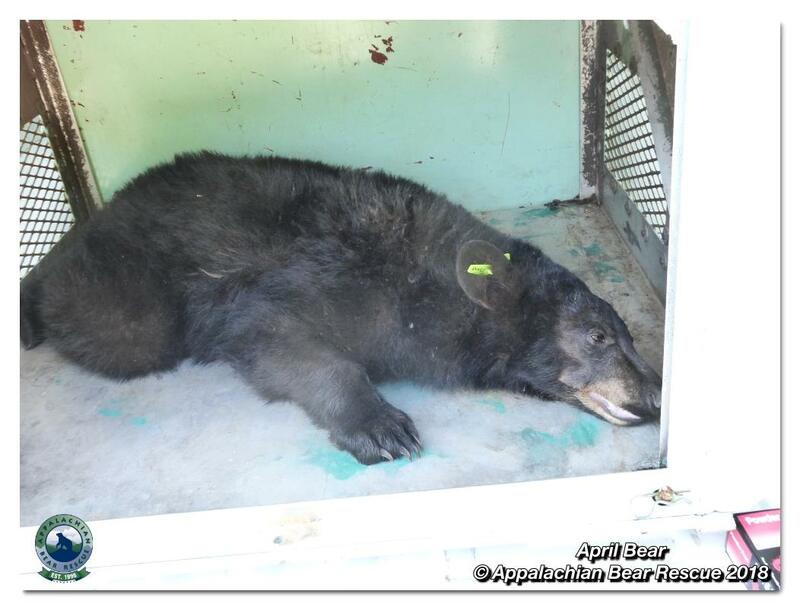 We wish her a long and happy life back in the wild where she belongs.